Enterprise Products manufactures and supplies badge making equipment to resellers in the UK, Europe and beyond. 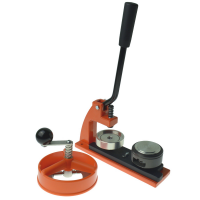 The company offers three badge making machines to distributors. The machines can make high quality and large volumes of custom badges, keyrings, fridge magnets, mirrors, mirror keyring, medals, and bottle openers. Contact us to become a badge making machine distributor now. 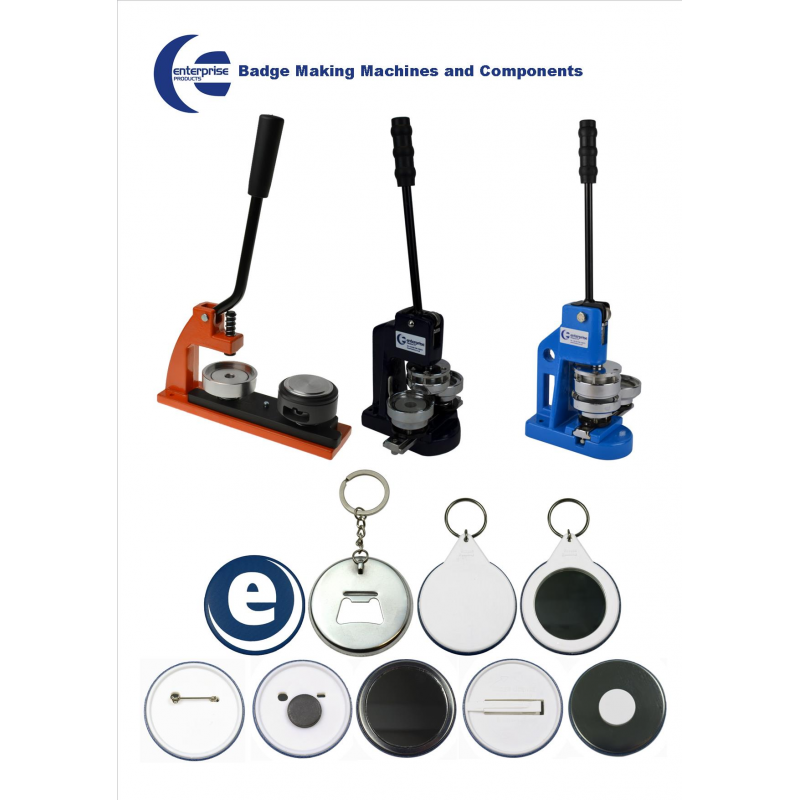 Enterprise Products is a manufacturer of badge making machines with over 30 years of experience. Made in UK, the machines are cased in metal and are built to withstand a heavy amount of production. 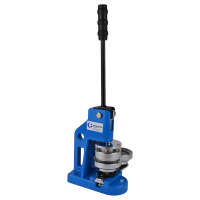 The machines produce items in the following sizes: 25mm, 38mm, 45mm, 58mm, and 77mm. All three badge makers are manufactured using the highest quality of material and component. The only difference between the machines is the speed at which they can be operated. The Micro badge maker is the best selling product in the UK and Europe. 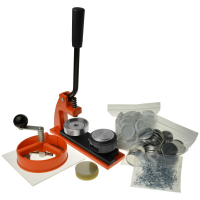 The badge machine can make 3 items per minute, depending on the speed of the operator. The equipment is perfect for reselling to individuals or companies who want to start making high quality badges. Enterprise Products is a family run business in the UK. They have over 30 years of experience in manufacturing and supplying badge making equipment across UK and Europe. The company endeavours to have happy distributors everywhere, which has led to its renowned reputation and a worldwide client base. For more information about how to become a distributor, contact us now using the form below.